Vanessa Kirk gives a personal account of what it is like to be a mentor. "I am a mentor for the National Mentoring Consortium and have come to the end of an 8 month mentoring relationship with my mentee Lena who is a 3rd year student at The Northampton University. The scheme is for ethnic minority students who are looking to raise their profile. When I signed up for the experience, I didn't know what to expect or what I could offer a student who might potentially be studying business, architecture or maths. I signed up anyway and am so pleased I did. The university provided training on how to be a mentor, and so the mentoring relationship began. At our initial meeting we established Lena's goals. The main ones were to work on public speaking and build confidence. It is normal practice to spend at least 2 hours every month with your mentee. I brought Lena into the office where she engaged with senior leaders and interviewed them as part of her dissertation. I organised a dragons den style activity for Lena to present her business idea to a panel of colleagues. We had Civil Service career conversations, I arranged mock interviews and a C.V. writing workshop. I coached Lena to give a presentation at her university. 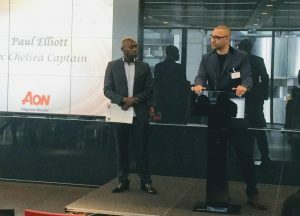 All mentees and mentors were invited to the end of year awards ceremony at the Aon Building (Cheesgrater) in London on Thursday 3rd May. Guest speakers included Chris Powell, Manager of Southend United Football Club. 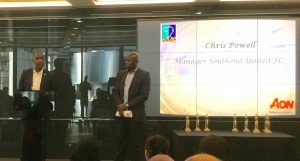 Chris spoke about the importance of thinking ahead, and how his mentor offered him the next step in his life, which was to become a coach and a manager. In order to prepare for this Chris started studying at 40 and achieved the highest coaching award. 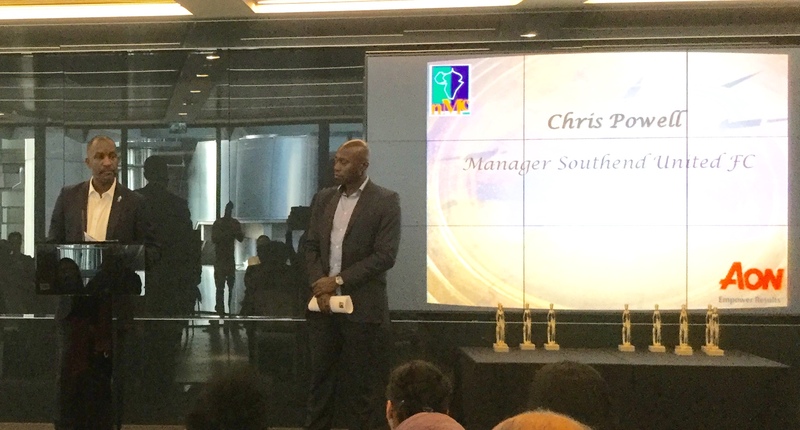 Chris spoke about the lack of ethnic minority managers in the football world and recognises in his role, he must encourage others to stand up and be a coach. Paul Elliot ex Chelsea Captain discussed the importance of having a mentor as role model to help with progression and the importance of taking on new knowledge but also implementing it. Lena's confidence grew so much and she happily delivered a presentation to a room of nearly 200 people telling everyone about her experience on the scheme. 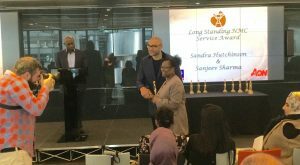 Lena said, she enjoyed learning about the work Civil Service Local do and it inspired her to apply for a position on The Civil Service Fast Steam. She said having someone believe in her, sometimes more than she believed in herself, helped her confidence grow more than she expected. It didn't matter what Lena's degree was in, I could help her raise her employability levels. I realised mentoring is a two way relationship which also helped me and my colleagues in the workplace. As I saw Lena's development and personal growth, I realised how important it is that we support our young people into the working world." How wonderful for Lena to have you believe in her and inspire her on her journey. Well done for going the extra mile for the next generation!